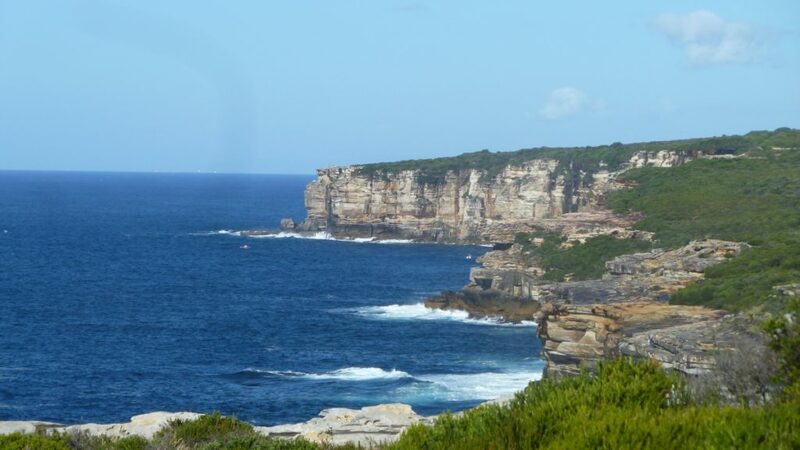 The Bundeena Coastal track is an excellent 7km coastal loop walk. The bushwalk takes you down to Jibbon Beach, up to Jibbon head, Port Hacking Point, Shelley Beach then loop to where you started. When your walking along the Jibbon loop track and a bit past Shelly Beach, there is another track that goes in-land and bypasses the coast. This is a bit of a short cut if you want to shorten the walk. Otherwise keep to the coastal path. Below are the highlights of the Bundeena Coastal walk. You can start the Bundeena Coastal track bushwalk tail at a number of spots. I started at the end of Scarborough St, Bundeena. This leads right onto the trail. Just following it for 7km. The map below contains details of the bushwalk. You can zoom in out out and move the map to where you like. I’ve also included plenty of pictures in the photo gallery. They should give you a good indication of what to expect on the walk. A lot of hikers start their journey from Bundeena to go on the Royal National Park coastal walk to Otford. The walk is approximately 30 km. You can attempt to do it in one day. Or do what most people do and camp at some of the popular camp sites. You must book the camp sites in advance. The following link contains information about book camp sites in the Royal National Park. The map below contains details of the Bundeena Coastal walk. You can zoom in and out and move the map to the required spot. Bundeena Coast Track Trail Map. Bundeena Coast Track Photo Gallery. Directions to the Bundeena Coast Track Hike. Google Map Link. You can start the Bundeena Coastal track bushwalk tail at a number of spots. I started at the end of Scarborough St, Bundeena. This leads right onto the trail. Just following it for 7km.